Welcome to Zebra House Removals, Warrington & the North West’s number one choice for low priced, reliable house removals, office removals, apartment removals, house clearances and man and van services. Special Discounts Available For Bookings Taken Before 30th April When They‘re Gone – They’re Gone! Zebra House Removals Warrington is a family run business based in Cheshire and we’ve had the privilage of moving thousands of people into their new homes over the years as well as helping countless businesses to re-locate. We’ve grown over the years from offering Warrington removals to removals across the north west and we also have our own dedicated house clearance team who work with home owners, landlords and estate agents to return properties back to a useable condition. Our customers have recommended us again and again and now the majority of our work comes to us via referrals. That’s what’s made us one of the most popular home removals businesses in the area. We’ve built our reputation on reliability, professionalism and good old fashioned value for money but we haven’t lost sight of the fact that we’re a family owned and run, local family business. Zebra House Removals Warrington is an excellent choice if you want the quality and level of service that you would expect from a large removal company but with prices equivalent to a local man and van operation. We’re so confident we offer the best value for money removals we’ll beat any genuine, like for like quote. We generally use smaller, more economical 3.5 tonne Luton vans which means we don’t have the large overheads associated with running expensive vehicles. We can pass this saving on to you. If you need something larger please call our office for a quote. Our aim is to provide a quality Warrington house removal service at a price comparable to a ” man and van ” service. In fact we don’t just carry out Warrington removals we cover the whole north west of England and carry out removals in Manchester, Liverpool, Preston, Crewe and anywhere in between. We understand how stressful moving can be and we’d like to help. We’ve been carrying out Warrington house removals and clearances for over ten years both in Warrington and throughout the North West and we’ve built up an enviable reputation for reliability, excellent service and value. Contact our office on 01925 497477 or alternatively use the form below to contact us. Based in Warrington, Cheshire Zebra Removals is the obvious choice for a Warrington removal but we also carry out removals across the North West including removals in Chester, Liverpool, Manchester, Preston, Crewe and Wirral. We also carry out national removals to London, Birmingham, Glasgow, Edinburgh and Cardiff. We carry out removals from all sorts of properties from one bedroom apartments to six bedroom houses, we’ve even carried out removals for famous footballers, actors and pop stars! Whatever the size of property you’re in safe hands with us. To find out more please visit our removals page. Zebra House Removals, Warrington, Cheshire. Our great value, low cost house removal service at an offer price that won’t be beaten. 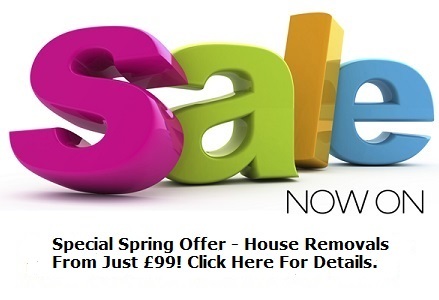 Discounted places are strictly limited in number .We’ve got some great offers at the moment guaranteeing your Warrington house removal won’t break the bank. We’re committed to providing s service that’s unrivalled in our industry and at a price comparable or even better than your average man with a van. As the North West’s leading small house removals service we offer various sized vans to cater for every move. For smaller moves or for single items we can provide a budget man and van service that’s as professional as our full house removals service. We pride ourselves on providing an efficient, friendly service at a great price. We are committed to offering our customers the best budget house removals in Cheshire. Our budget man and van hire service offers a reliable and efficient, door to door, man with a van service throughout Cheshire and the UK, with a professional approach to any house or business move. Zebra Removals operates a dedicated house clearance service covering the whole of the North West of England. We can can clear any property from a one bedroom apartment to a six bedroom house as well as garages, lock ups and outbuildings. We regularly carry out clearance work for local authorities and local businesses and are renowned for the quality of our work. We’re fully licensed with the Environment Agency and recycle over 90% of items that we remove. See our house clearance page for more details If you need a property cleared or just want to de-clutter give the house clearance experts a call on 01925 497477. So many websites and so much choice, if you’re looking for a good house removal company in Warrington or elsewhere how do you know which company to ring and which ones to avoid ? Secondly check out the company’s address, any decent house removal company operates from business premises if you want to hire an amateur operating from home, you won’t be hiring us. Read the company’s testimonials and make sure they’re genuine, ask to speak to a previous customer or two, any reputable company will be able to organise this for your peace of mind. Make sure the company you use is financially secure, any reputable company will gladly accept payment via debit or credit card, this demonstrates a company with a proven history. If you want to know what our previous customers say about Zebra Removals have a look at our testimonials page. If you have used the services of Zebra Removals please feel free to leave us a review, we welcome feedback. This was a very friendly efficient company carrying out a flat clearance on a property which had been occupied by an elderly gentleman moving into a retirement home so everything had to go. They were very thorough and didn't grumble at all despite the flat being on the 8th floor. I thought they were amazing and would recommend them with out hesitation. We’ve just said goodbye to the removal team that did our move today and wanted to let you know what an amazing job they did. Our flat wasn’t easy to clear (2nd floor, no lift) but they did it in no time and the unload was seamless despite the delay waiting for the keys and the fact that we had to do two trips. The service and price was spot on - thank you again and have a great Christmas, we will certainly recommend you to our friends and family. Brilliant service from Zebra Removals, they took great care with my belongings and were friendly and efficient from start to finish. Highly recommended. would like to compliment the two men who moved me to a bungalow,was happy with how they managed to complete my 4hr slot,I was on tight budget and everything went to plan and everything was moved without mishap,Thankyou.